Over the last few months, we have made a couple posts about one our new clients, Carefree Lifestyle. They offer exotic car rentals in Miami, Los Angeles and New York. You can rent any sports car you fancy, like: Ferrari, Lamborghini, Audi, Maserati and more. 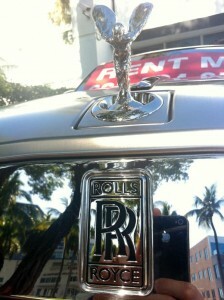 They also have luxury vehicle rentals like Bentley, Rolls Royce, BMW, Mercedez Benz, Ranger Rovers and Hummers. In addition, they offer a lot of cool stuff like high end mansion and condo rentals, yachts, private security, limousine service and VIP packages. They rent to a lot of celebrities. If you check the clients on their site and the blog, you will see their vehicles and homes being used in Music Videos and more. When we took the job, the website was a mess. The files were extremely unorganized, there was no blog, no feed, no tags, no sitemap and the site was riddled with HTML W3 errors. We converted the 300+ page website into a WORDPRESS BLOG format. Now the client can add their own listings, update the blog and totally control their website. We added an XML sitemap, blog feed to the homepage, twitter feed, testimonials page and lots more goodies. Our work is so good, that they were back up on the first page of Google for the following keywords within a few days. After being on the 4th and 5th page for months, they were very impressed with the results. We are still working on some 301 redirects and things of that nature, but this is just more proof that our Search Engine Marketing Company is very effective at Social Media Optimization and we do a good job as SEO Consultants. Furthermore, we fixed issues in the CRM form so they can capture leads and convert them into their salesforce software.